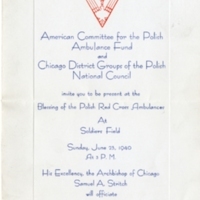 Invitation to the blessing ceremony of Polish Red Cross ambulances by Archbishop of Chicago Samuel A. Stritch at Solder Field. 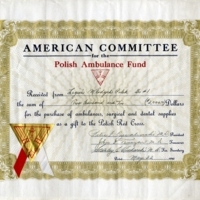 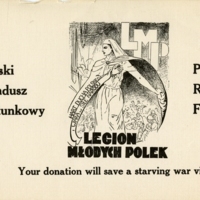 Certificate showing that the American Committee for the Polish Ambulance Fund received $2,000 from the Legion of Young Polish Women for the purchase of ambulances, surgical and dental supplies. 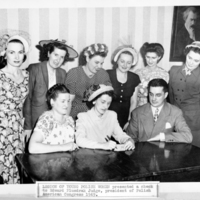 Legion of Young Polish Women President Henryka Grajewska signs a $2,000 check for the Polish American Congress for the Committee for Resettlement of Polish Displaced Persons. 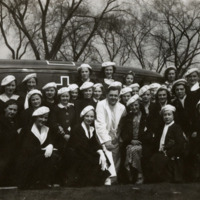 Members of the Legion of Young Polish Women pose with the ambulances they purchased for Polish war relief. 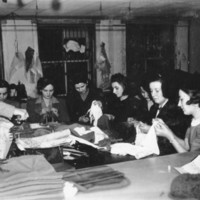 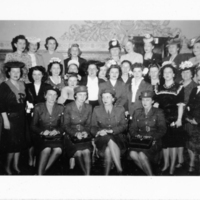 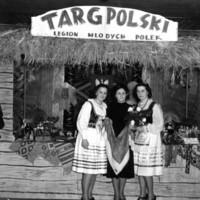 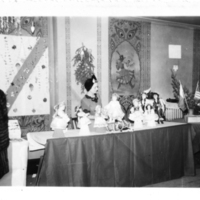 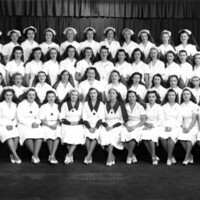 Polish Chapter of the American Red Cross in Chicago, 1941-1944.